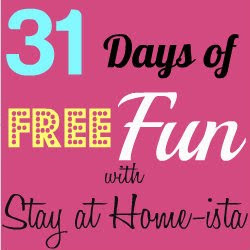 I'm sharing my favorite room at Style and Ease, so stop on by. Since I'm redoing my son's room and turning it into a big-boy room with a real bed; he needed a nightstand. The wall where his bed fits has a slim 16 inches left over for a nightstand, not much space. Conveniently, our daughter, in her butterfly bedroom, had the perfect size table, 14 inches! At this point my husband said that it looked like "construction orange". Which is a good thing since the boy l-o-v-e-s construction machines. So I added a dump truck nightlight from Target, and he is ecstatic. Our daughter, however, was left with no nightstand. Enter the guest room nightstands, with a drawer, aka "secret hide-y spot". Yes, the feet and knob are pink. It's like the dipped phenomena of furniture legs meets Alice in Wonderland. She loves it! Love the changes. They each fit the rooms nicely. Great way to repurpose! Love both of them! It's amazing what a little paint can do. Love both transformations! I love both but your daughter's is adorable with the pink knob and feet!!! They look awesome. The pink feet and knobs were a great touch! the orange is such a nice pop of color, I love it! I used a color very close to that orange last week to paint our planter outside. I assured my husband when I got through it wouldn't look like a construction cone. It ended up really bright and cheerful. I think it looks good in your son's room. Bright colors look so good in kid's rooms and the nightlight is pretty cute too. Such a cute, whimsical touch. Both turned out so cute! I love seeing the bright orange & the fun pink legs. Why not have fun with it? i love that bright orange! and how cute are the feet on the other one! Super cute!! I love the orange (probably bc I have two little boys who love diggers too). I love both! I espeically love the bright orange, very fun! I have a nightstand in the basement I have been wanting to paint for my daughter for about a year now! One of these days! 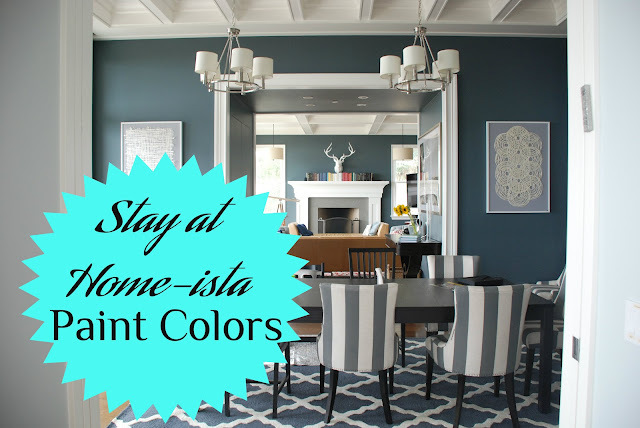 I absolutely LOVE the use of bold colors! They look wonderful! So cute! I love the bright colors!!!! Hi Jessica! I love the orange--too cool. And painting the feet of the knob of your daughter's nightstand pink was so clever! I love that idea...we have an old nightstand in my daughter's room that was in her grandma's house. It's old, dates, and is screaming for a change. I love the idea of only painting the legs or drawer a vivid color. Love the orange & blue! Such fun colors! Great job! Cute nightstands. 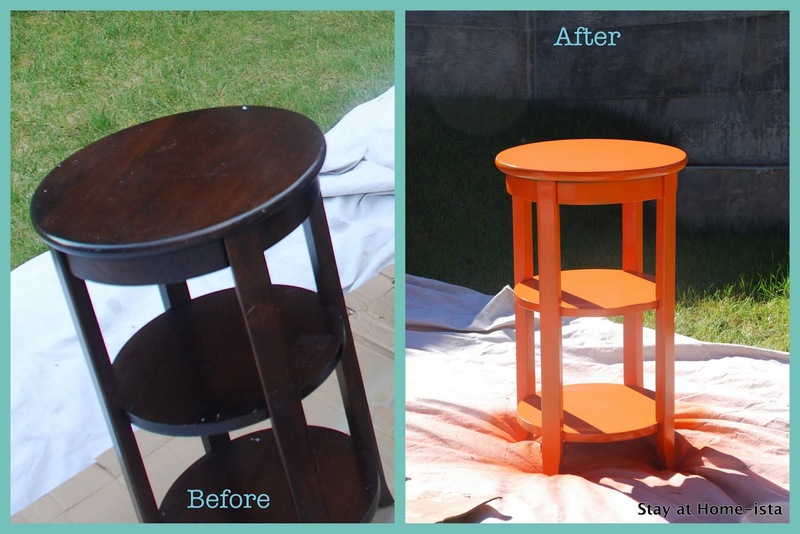 Love the bright orange and her nightstand it too cute. 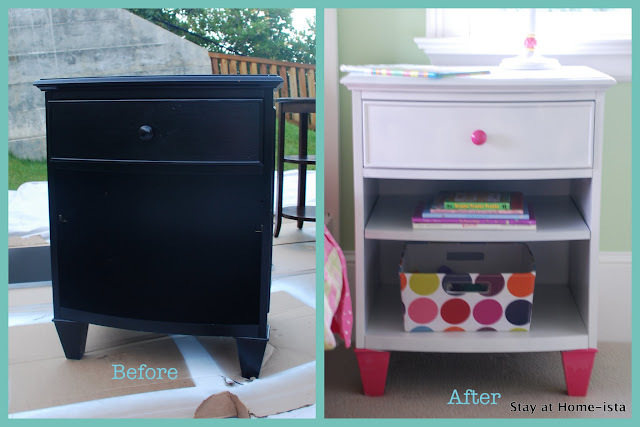 Love the nightstands...so cute that you just did the feet and knob pink on your daughter's nightstand! Too cute, Jessica! Presto chango and everyone's happy! Wow, they both look so different than in the beginning! Amazing what a coat of paint will do. Both nightstands are so inspiring - I would LOVE to have that pop of orange in my son's room! They both look so great and kid friendly! You did a great job.. i love them! This looks great! I am visiting you via Wow Us Wednesdays and I hope to see you at My Dream Canvas. Great transformation with the black night stand (to white & pink)! Oooh, I love both the new nightstands! I've been dying to paint something orange! Thanks for linking up some great inspiration. Very cute! I love the pink legs on your daughters nightstand. I never heard of anyone spray painting furniture. Do you like that, instead of using a brush and or foam roller? I love the pink and white nightstand. Gorgeous. What kind of paint did you use? Did you sand, prime. than paint? Sorry. Im new at painting stuff. Would love some tips.